The Black Dahlia directed by Brian De Palma is not the greatest of films, but alas it combines two of my loves, Mia Kirshner and the 1940s. 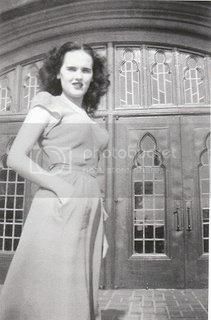 It's based on the tragic murder of Elizabeth Short, the beautiful aspiring actress who was dubbed 'The Black Dahlia' a supposed play on her donning dahlia's in her hair and the Veronica Lake film out at the time The Blue Dahlia. I think the film would be a lot better if Hilary Swank and Josh Duh Hartnett weren't in it, as they both irk me somewhat. 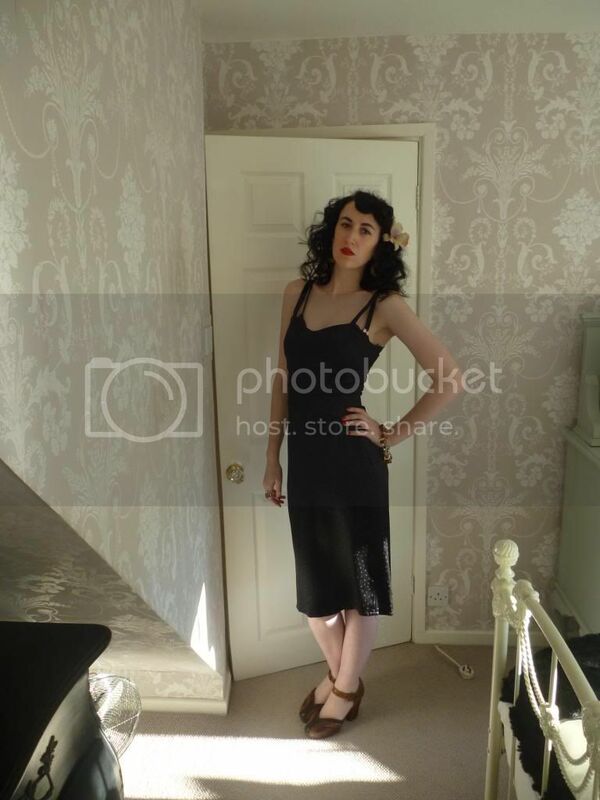 This get up I wore on Saturday to a bistro, don't worry I wore woolly tights a blazer and a coat as well, I am not in human. 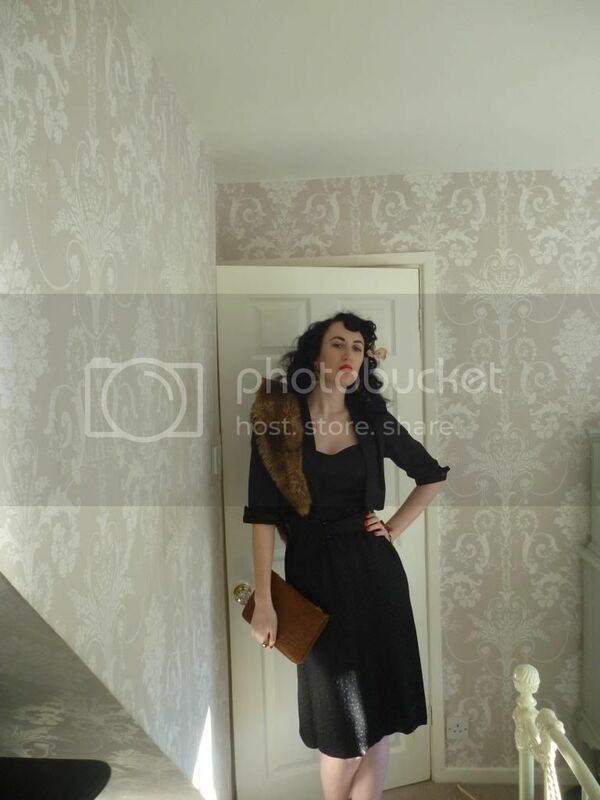 The black dress and matching jacket fit like a glove and were purchased from The Vintage Village, the Egyptian handbag was an eBay find and the faux fur I stole (hah get it) from my Mum yonks ago. I now have three pairs of these shoes as they got reduced to £10, the boy bought them for me as he thought it would be a good idea to stockpile, he is definitely a keeper. Tell you what also irks me that flipping plug I should hide it right, I am crap. There are so many conspiracy theories on Elizabeth that it is impossible to separate fact from fiction. 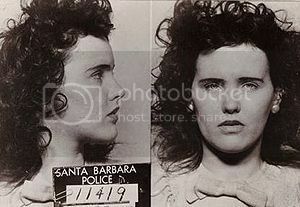 The above mugshot is from when she was arrested for under age drinking, which the press in the 40's then convoluted into some kind of example of how she led a debaucherous lifestyle, what teenager doesn't drink before it's legal? 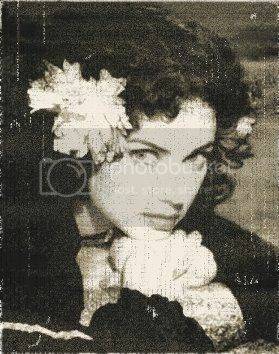 It's a sad fact that the media turns anything into something its' not, look at how many conspiracy theories there are on Marilyn's death, one of my friend's has read pretty much every book on her and they vary so much in dates and people they are laughable, but people will always be fascinated by tragedies, myself included. 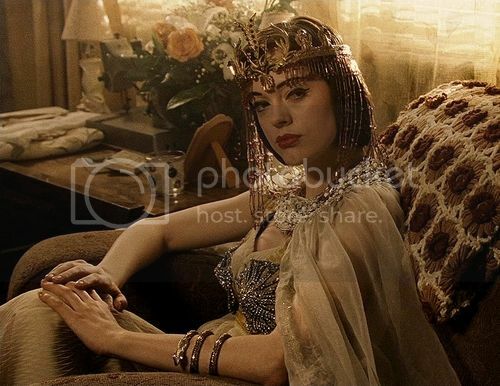 I do believe Scarlett should only star in period films, as she looks exquisite in this get up. My other raven haired, love Rose Byrne. 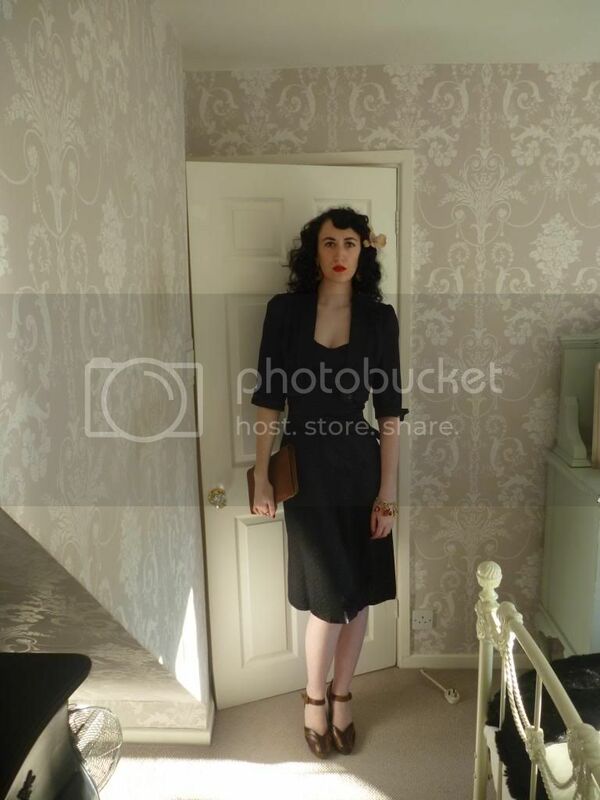 You are definitely conjuring Black Dahlia in this get up. And you look stunning!! I love the dress & matching jacket on you. I have not got around to seeing this film yet! That blouse, first pic, is TO DIE FOR! Mia is wonderful,haven't seen her in anything for ages...I remember her is a fab Vivienne Westwood skirt in The Crow sequel, and she was gorgeous in the sean Bean version of Anna Karenina, also starring one of MY loves, Sophie Marceau.Sean Bean was woefully miscast in my opinion!! I believe there's another version coming out with Keira Knightley, whom I loathe, but as it's one of my fave novels, (the ball scene is the most divine passage in fiction ever!) I shall be going. The blouse is heavenly for sure. Oh I have not seen any of The Crow sequels just because I love the original, but may have to track that one down. Oh this sounds amazing, Sophie is such a stunner too. A lot of women hate Keira, I kinda like her. Your interpretation of her style is strikingly wonderful. 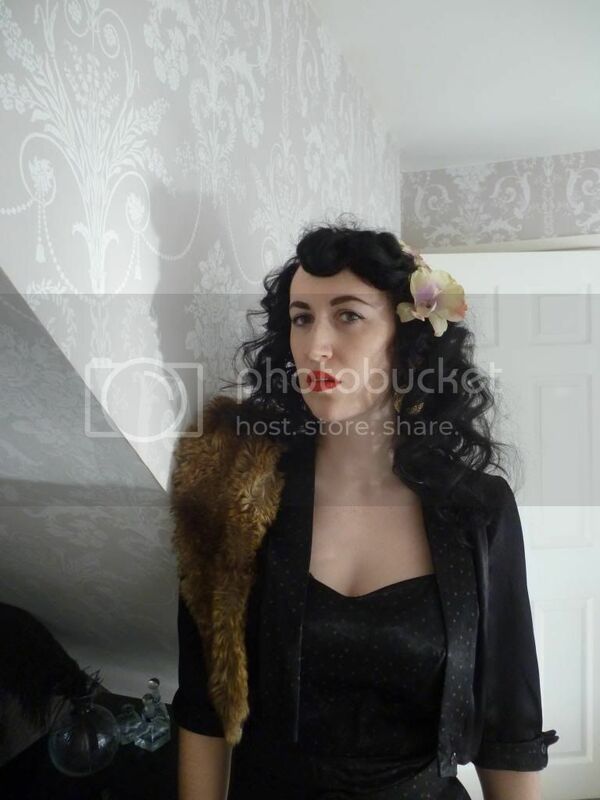 Very film noir meets femme fatale, with a dose of classic 40s style and elegance swirled throughout. Captivating and very, very beautiful ensemble. 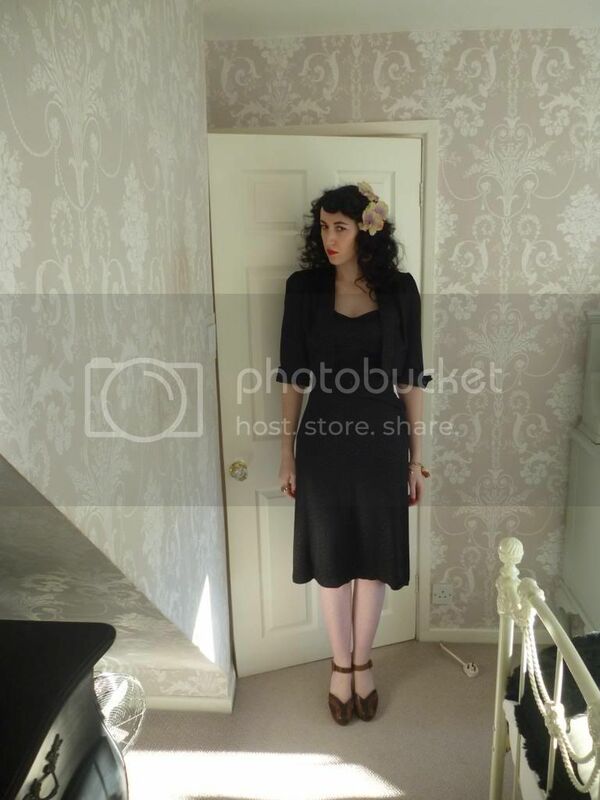 Wow - great outfit. I haven't seen the movie but from the shots you have shown here you are definately channelling the same style. i like this movie...great style for your outfit! 2) I have to see this movie now for the curly hair inspiration alone! 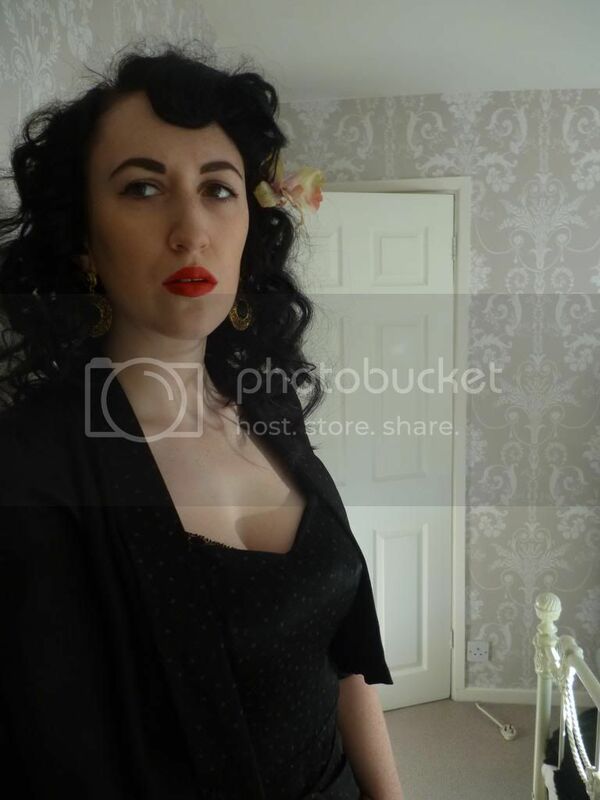 I've tried to find images of 40s women sporting naturally curly hair and it looks like this woman did. Hard to tell though. I was so upset when I realized just how bad the Black Dahlia was while watching it, because there are so many things about it that should make it so good: the 1940s, true crime, Aaron Eckhart!! And yet, it's so so bad. :( I remember reading this article about it being a contender as one of 'The Worst Movies of All Time' (http://videogum.com/57372/the_hunt_for_the_worst_movie_o_47/franchises/the-hunt-for-the-worst-movie-of-all-time/) and thinking it was pretty funny though. I guess as its one bonus, there *is* some eye candy. 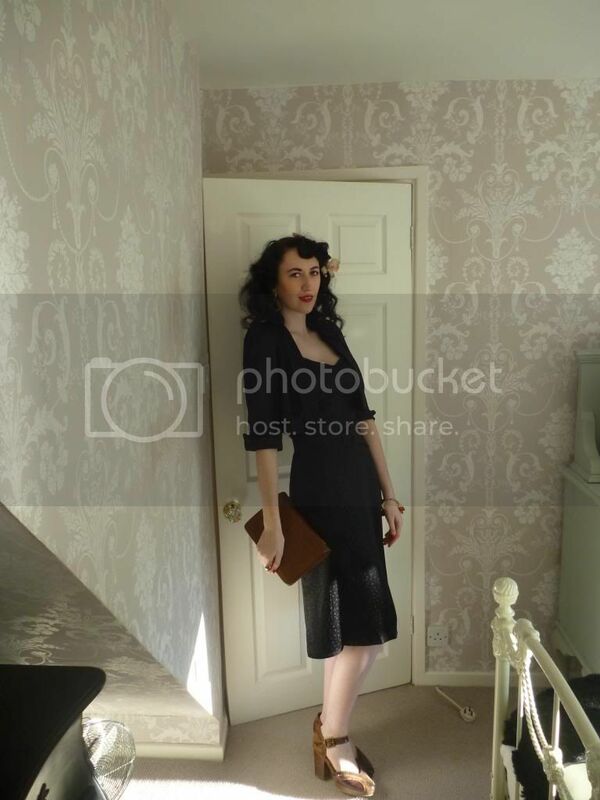 Anywho, you look fab fab fab, and did you say those shoes were only £10? STEAL! Yeah the plot and the majority of the acting is pretty awful, which is a damn shame you are right. I hadn't watched the movie because I'd heard before that it was disappointing, but how pretty it is! Might be worth a viewing after all. Maybe the book is better? Love the stole you stole. Haha. I would never be allowed in PETA because I love fur so much (and the fact that I love meat, too!). Ooh where are your shoes from? Ten pounds is a steal for such lovelies! 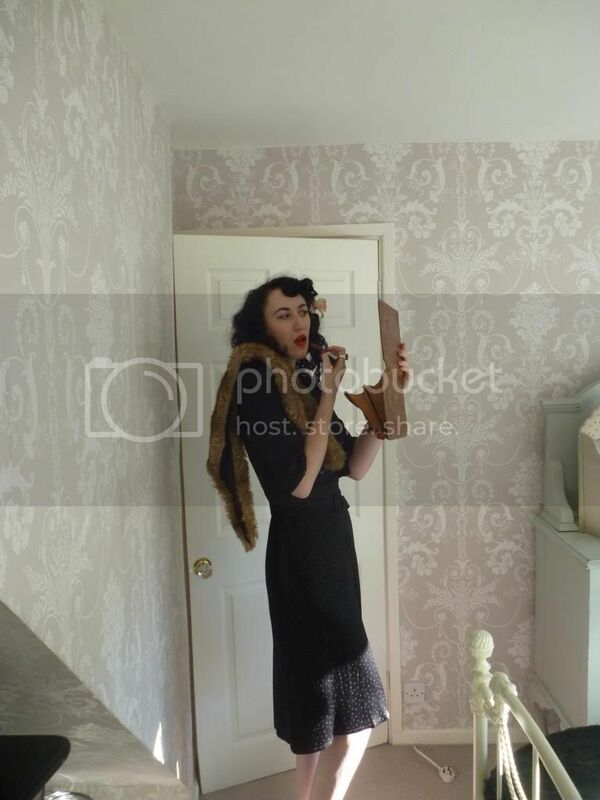 You look stunning, like a much prettier Dita if you ask me! Wonderful outfit.